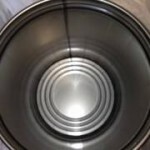 Looking for a steel pail for water treatment chemicals? Consider our CSCP2-11-01. 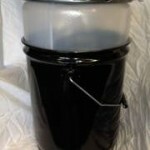 This is a UN rated pail for both hazardous and non-hazardous liquids. The UN rating is UN6HA1/Y1.8/100. 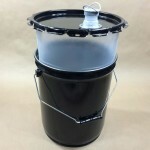 This pail is suitable for both Packing Group II & III liquids. 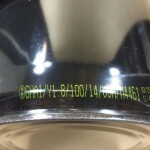 Some products such as water treatment chemicals and corrosion inhibitors, are corrosive. 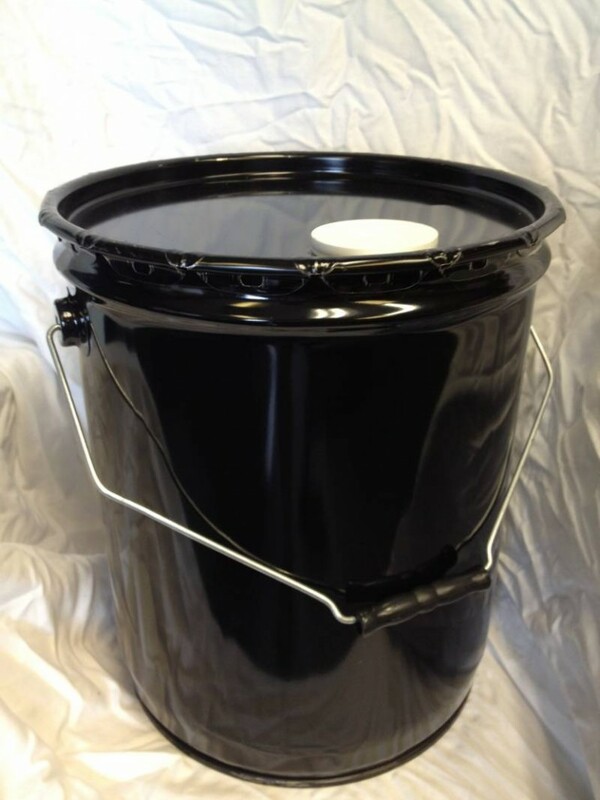 Many times these types of product do not do well in unlined steel pails or steel pails with baked on linings. Over time, a product such as this, may sit on a shelf and find tiny imperfections in the lining. It can seep through and actually make it’s way under the lining and can lift the lining up. This might possibly contaminate the product being stored in the pail. It could also possibly compromise the integrity of the package. 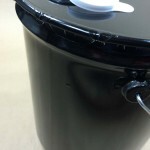 This is where a composite pail with a plastic liner can be the pail of choice. 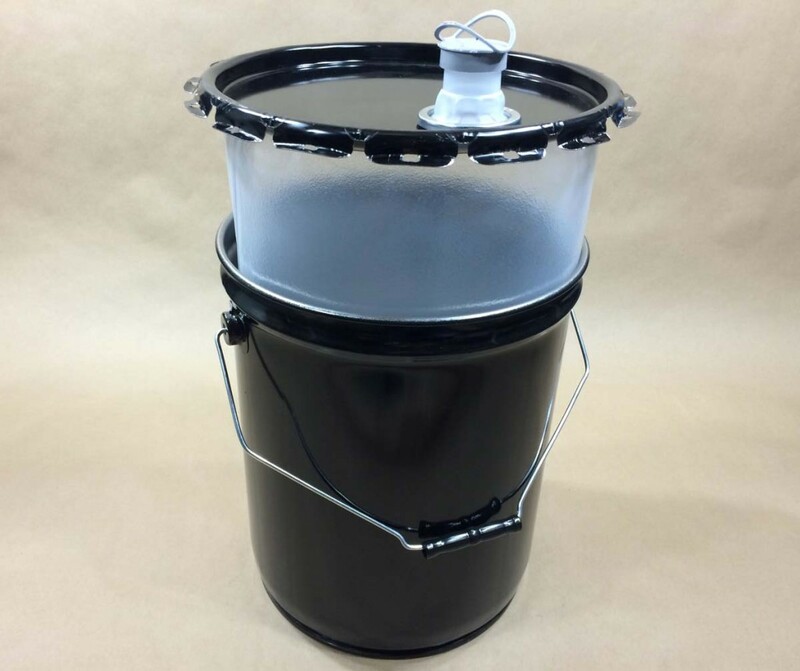 This pail is shipped with a dust cap on the Rieke opening to keep the pail interior clean. 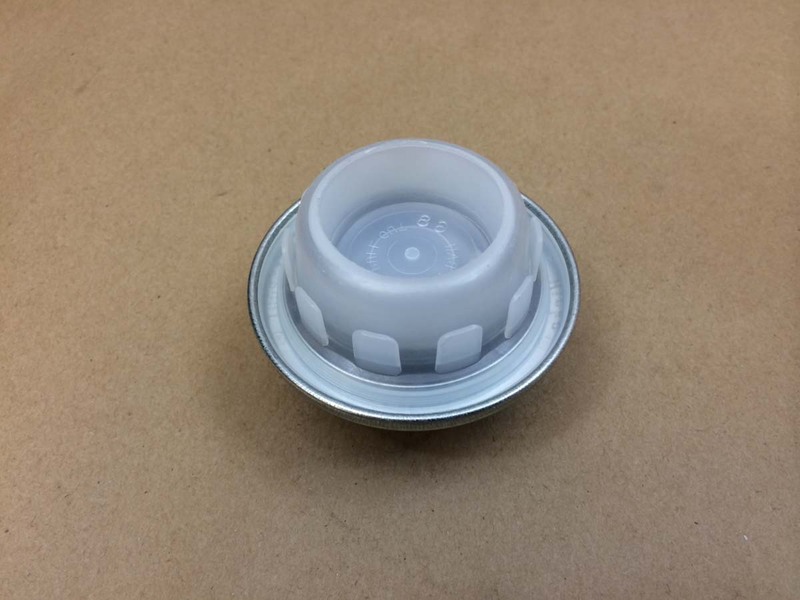 The dust cap is removed when the pail is received. The pail is then filled with product, after which a Rieke Flexspout (sold separately) is applied, using a Rieke Flexspout Crimping Tool (sold separately). 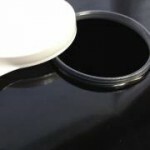 As the flexspout is crimped on, it seals both the spout and the liner to the pail. 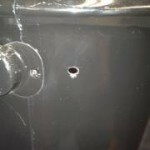 A small relief hole (shown in the picture below) allows any air between the liner and pail to be forced out as the pail is filled. 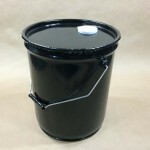 Using this type of pail, keeps your product from contact with the steel. These chemicals extend asset life by minimizing corrosion. This improves productivity and equipment reliability. 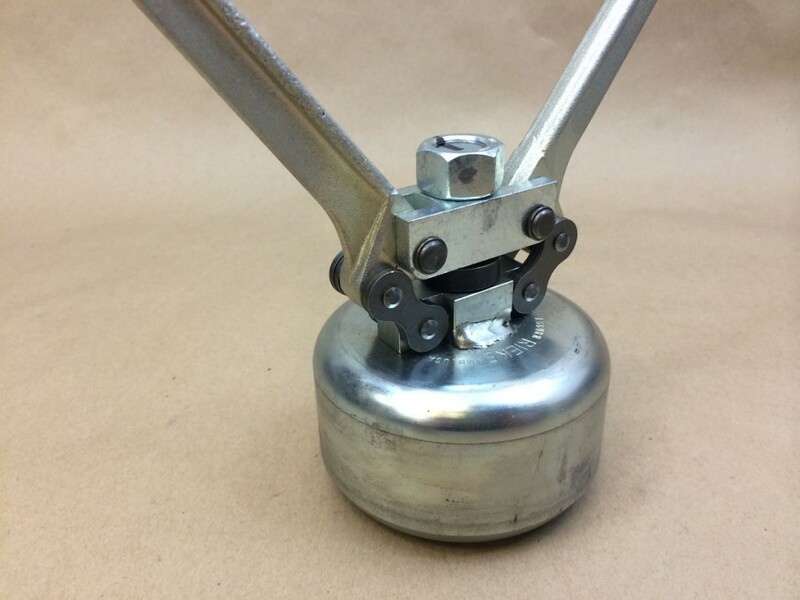 This may help reduce downtime for cleaning by inhibiting the corrosion. Obviously, it is important to keep this equipment running as problem free as possible. 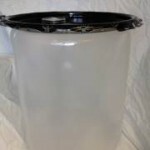 Storing and transporting your water treatment chemicals in a composite, poly-lined pail can help towards accomplishing that goal. As always, it is the responsibility of the shipper to be sure his product is compatible with the shipping container. Some products may not be suited for this container.